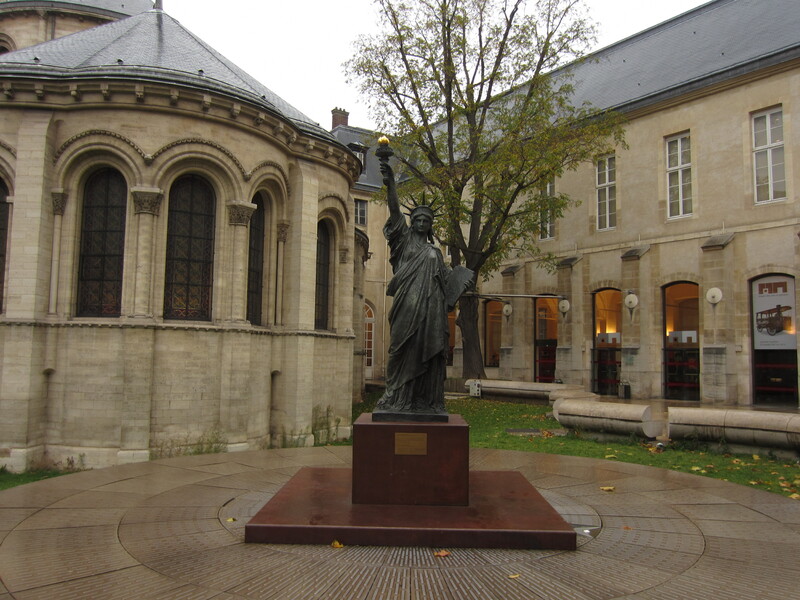 Yep, it still exists, somewhere in Paris. 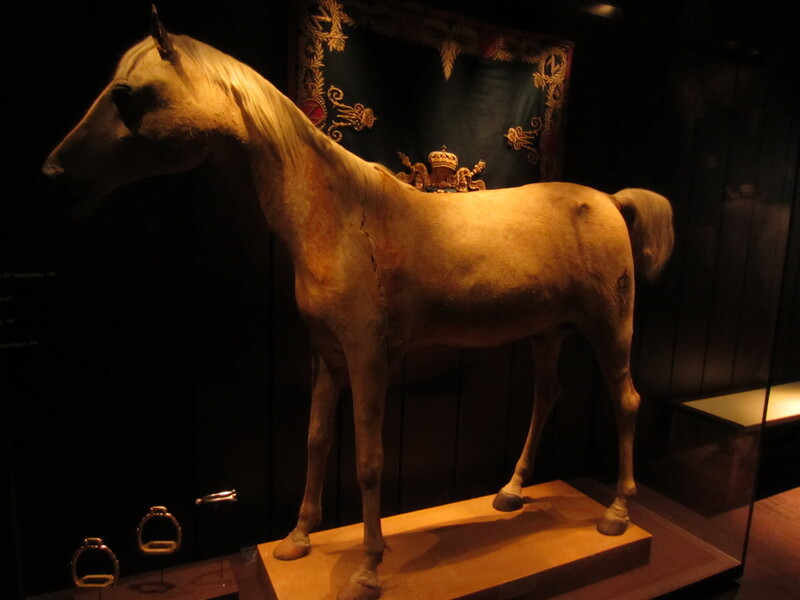 Napoleon’s steed wasn’t entombed in stone like his master, but taxidermied, and placed upstairs amongst pistols, armour and other relics of Bonaparte’s campaign. I found myself remembering three taxidermied antelope I saw in Zambia a few years ago, zombies frozen in a moment of agony with torn skin, blackened pits of hollow eyes and horrified snarls on their face. The French have done a better job than the Zambians. However, taxidermy is still creepy, every single time. This horse looks emaciated and bony, with a grotesque slash slicing the skin of the torso down it’s front leg. 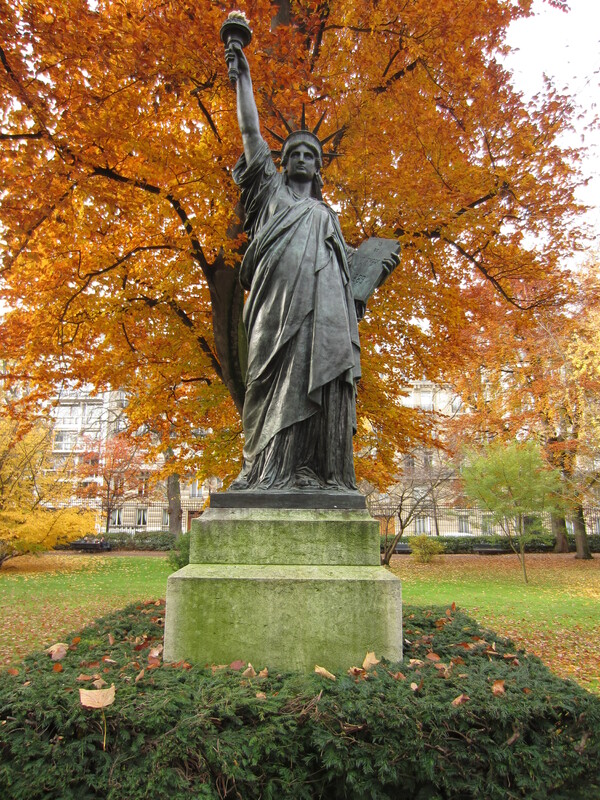 It isn’t pretty to admire, but consider this scavenger hunt item ticked! A backslide from sophisticated French cuisine, but one of the best things you could possibly eat in Paris, and the trendy, multicultural pedestrian haunt of The Marais is the perfect place to find one. First you have to find the right place to buy it, and you won’t look far as the hustlers beg you to try their brand. 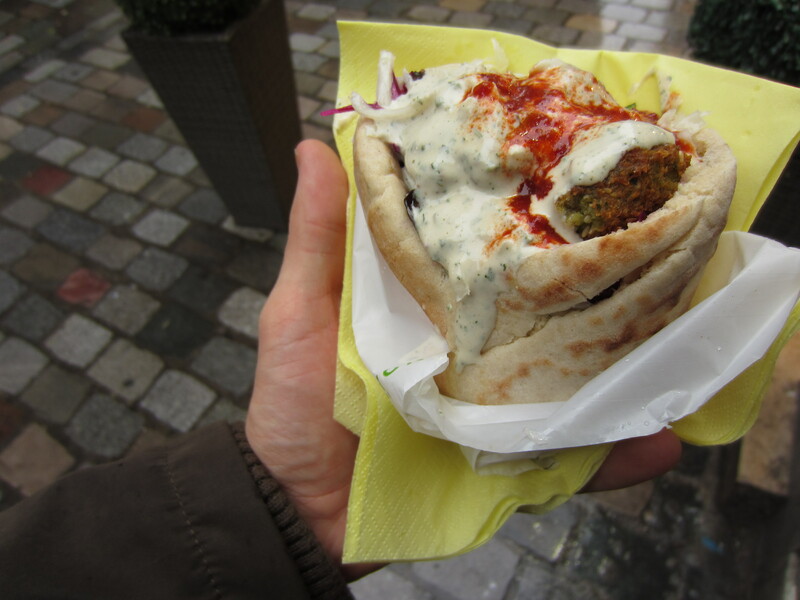 The pita bread is hefty and feels like a football in your hand, an intense wad of garlic, salad, and falafels. You walk away with the falafel, but eating on the move is tricky, as this phonebook of condiments requires your full attention. I didn’t try one drunk or hungover yet, but i’m imagining an even more profound effect! 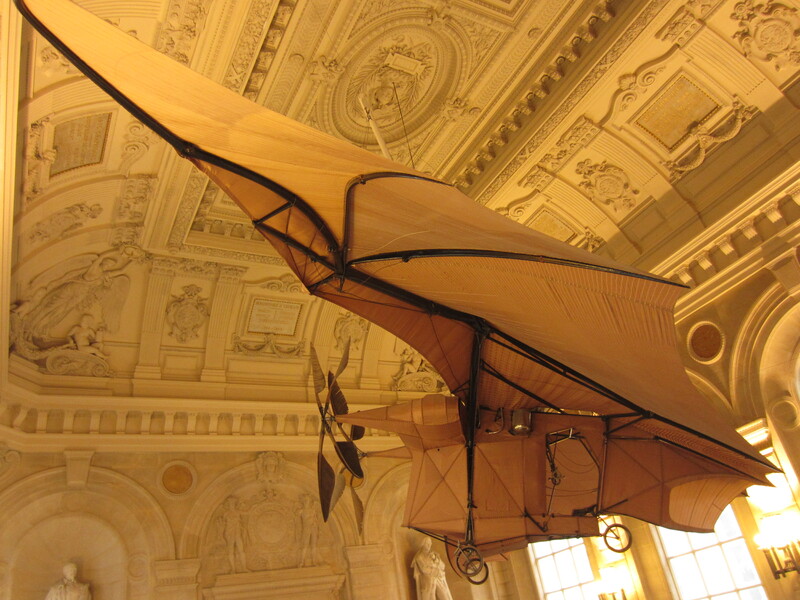 I’ve written a word on Arts et Métiers station during my Paris Metro post here, the amazing steampunk submarine metro platform. I love it, the colours, the theme, how it feels something more than just a station. Well done, decorators. The museum of the same name above is a dream for engineers, or for people who like wobbly old vehicles. Like BATPLANE! 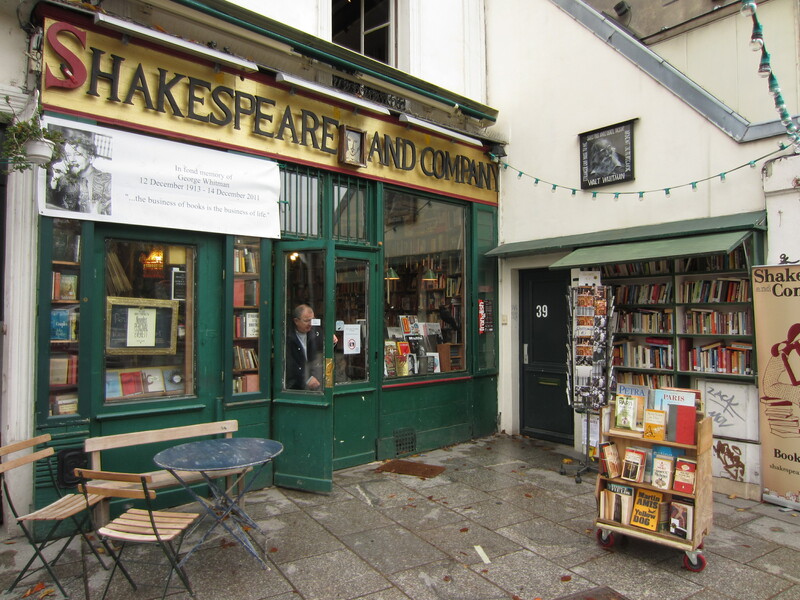 There are two of these bookstores, one (in my photos below) is on the Left Bank, near Place Saint-Michel, opened in 1951. An older version existed in Odeon, opened in 1919 and was famed for attracting artisitic and literary genius, English speaking clientele such as Ernest Hemingway, F. Scott Fitzgerald, Gertrude Stein and Man Ray. Sadly, this older store closed in 1940 when the Nazis stormed into town, and never re-opened. 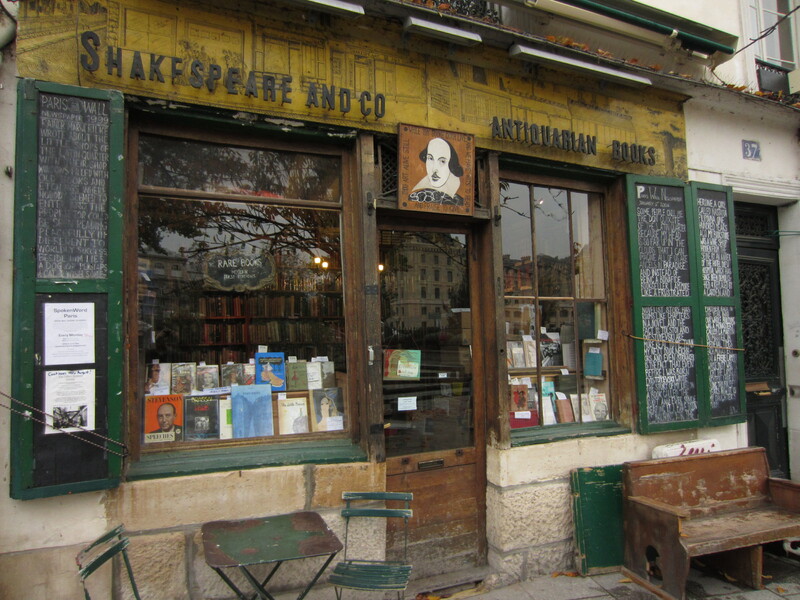 Today, the store on the Left Bank is one the best places to find English literature. 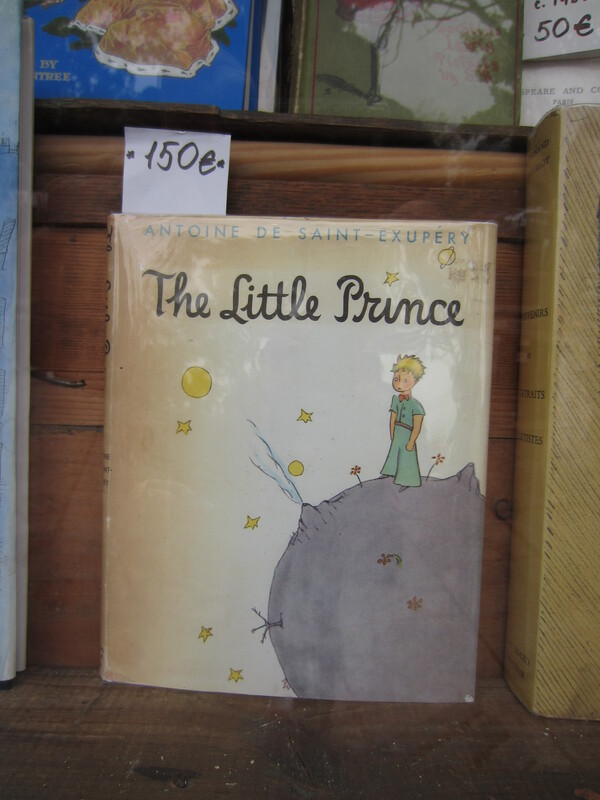 For the antique book I chose to photograph, I noticed a copy of The Little Prince in the window, at a whopping 150 Euros (about 180 Aussie dollars), so almost certainly a first edition, and clicked my shutter at this cool find. This fantasy is one of the best selling children’s books of all time at over 200 million copies, voted the best 20th century book in France, and exists in over 250 languages. You probably read it as a young kid. 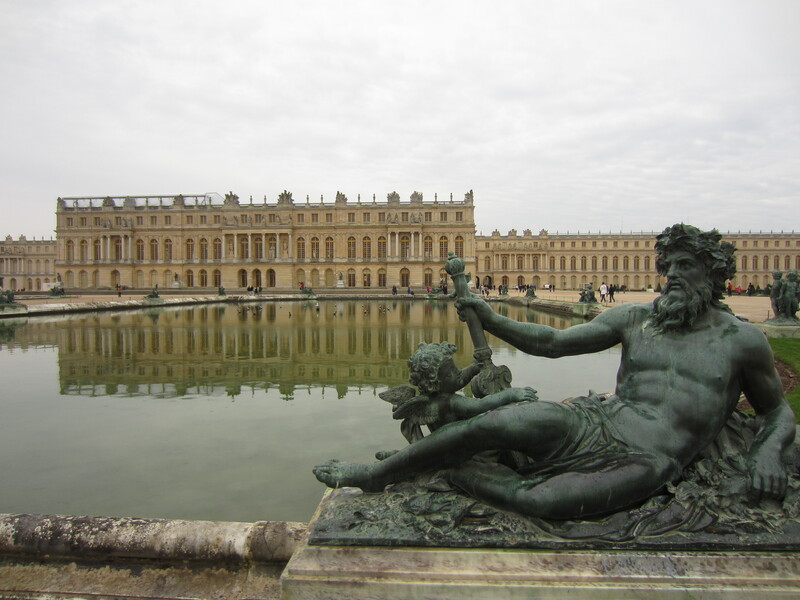 The Chateau de Versailles is a huge castle about 20km outside of Paris, which began as a small hunting lodge for Louis XIII, and grew during the reign of subsequent Louis’ to become one of the most impressive castles in the world. 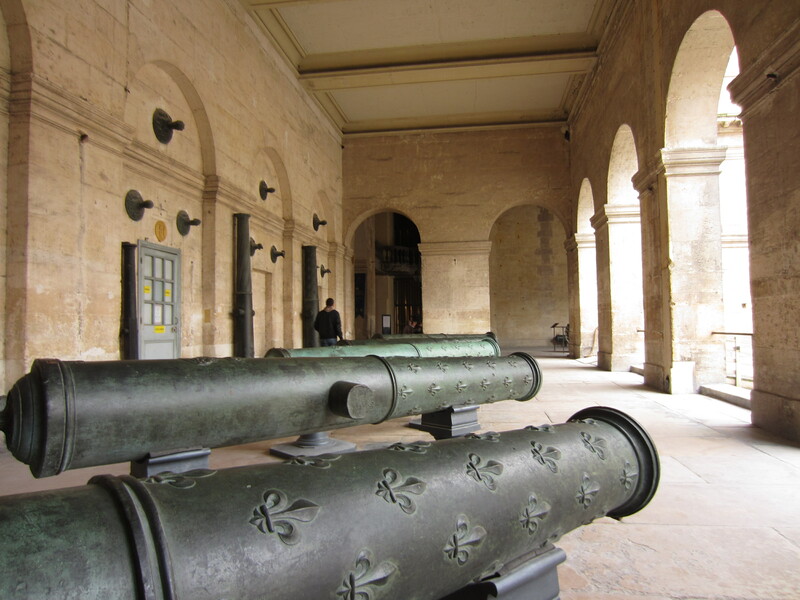 The first section was built in 1668, and many additions have been made over the years. 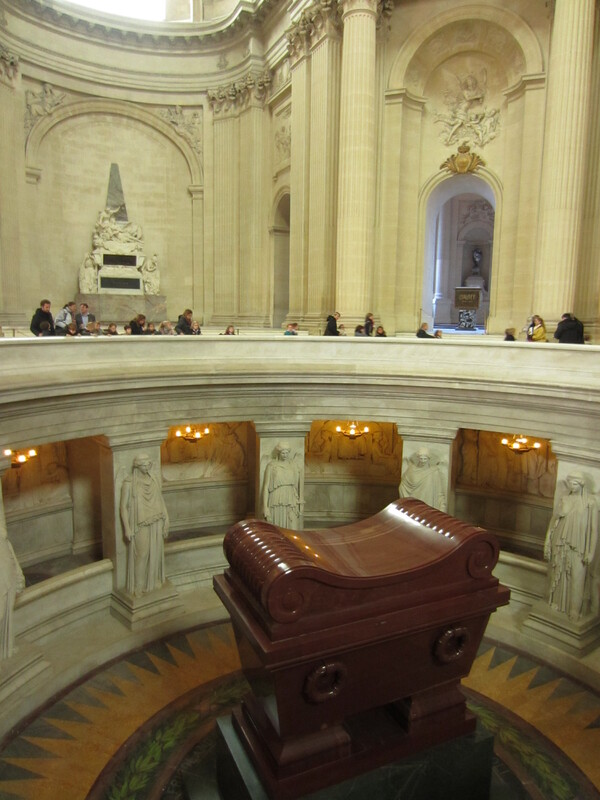 Once the seat for the French monarchy over the centuries, Versailles is still used for small political roles, but mostly serves as a tourist attraction and art gallery. Cindy and I visited recently to see what all the fuss was about. 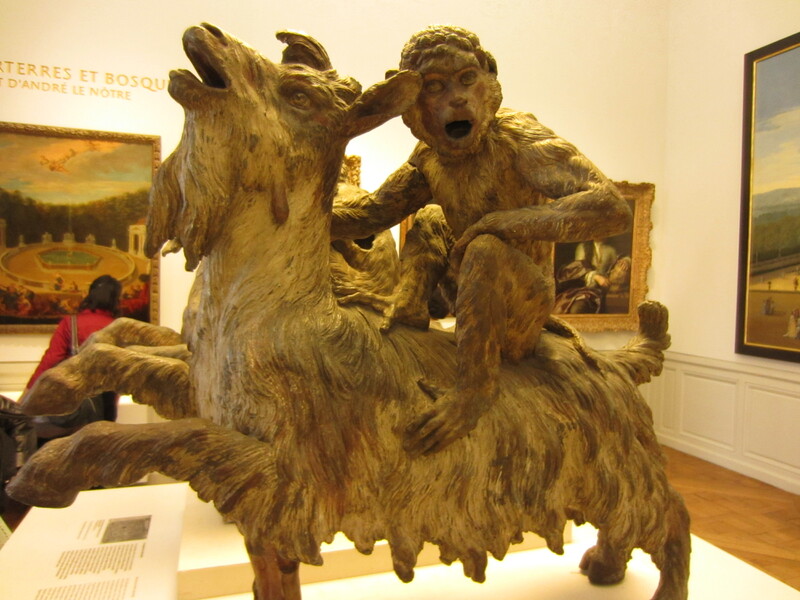 Monkey riding a goat. Louis foretold the plant of the apes coming true, but not his own country’s imminent revolution. 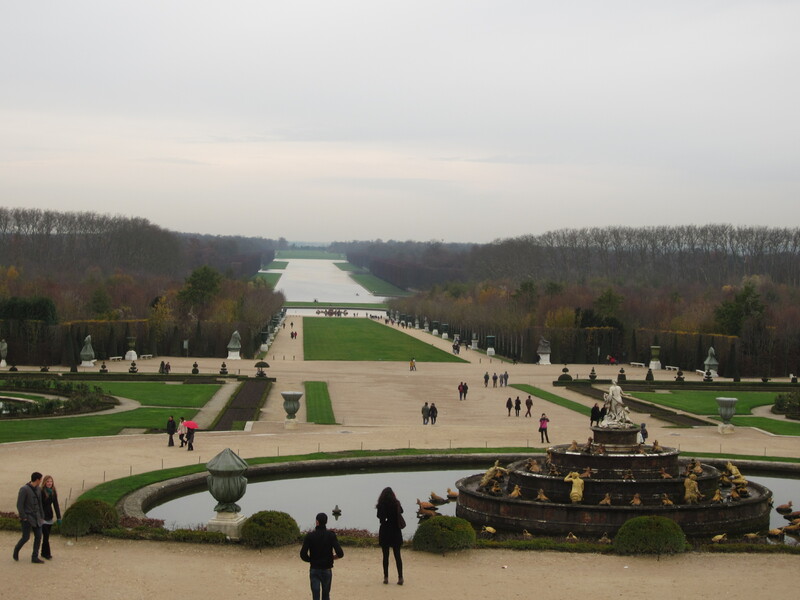 Something like 2000 acres of precise, manicured garden, man-made lakes, hedge designs and fountains. 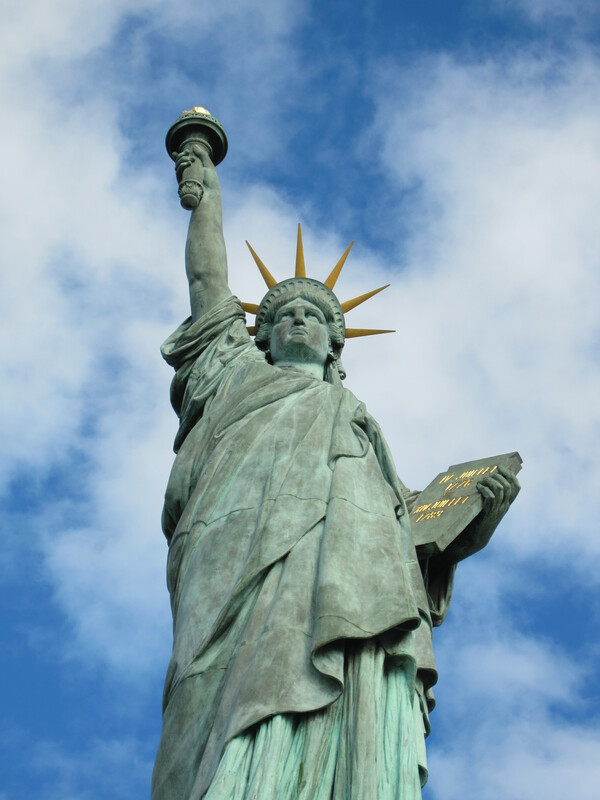 Most of it is free to roam, for those feeling like a bit of a walk. For those who don’t, golf carts are on hire too. 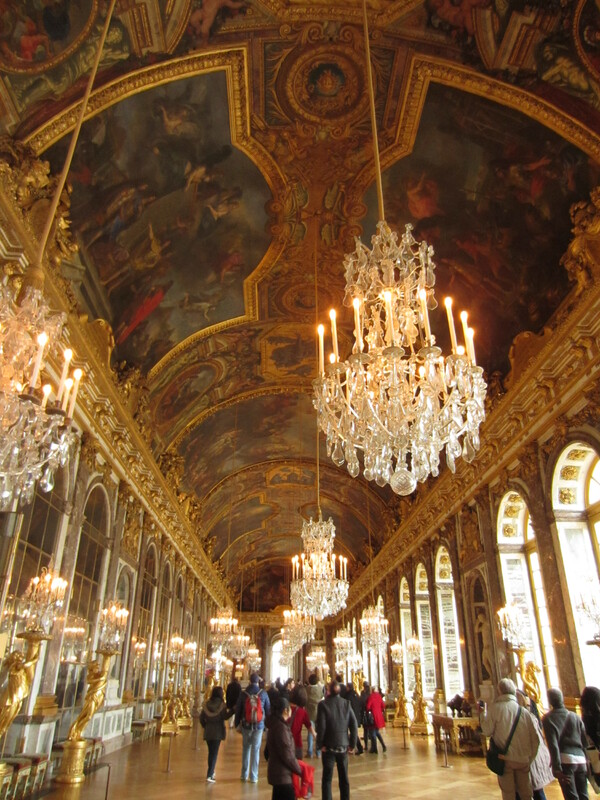 One of the most beautiful rooms in the palace, each window is faced with an equally-sized mirror to expand the size of the hall, which held mostly court functions during the the monarchy of the kings of France. 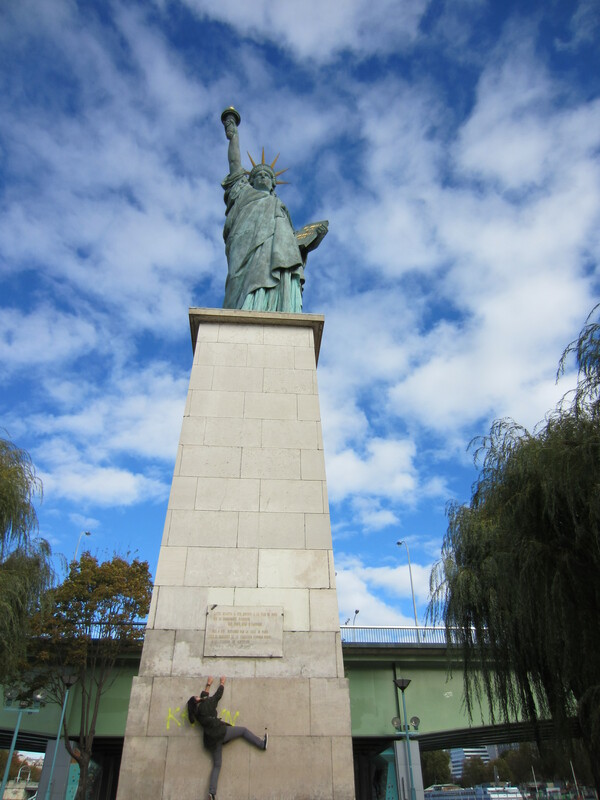 This biggest one is on the small man-made island Île aux Cygnes, downstream from the Eiffel Tower, a gift from the people of America. But i’ve gone one step further, Alysha, i’ve got 5! 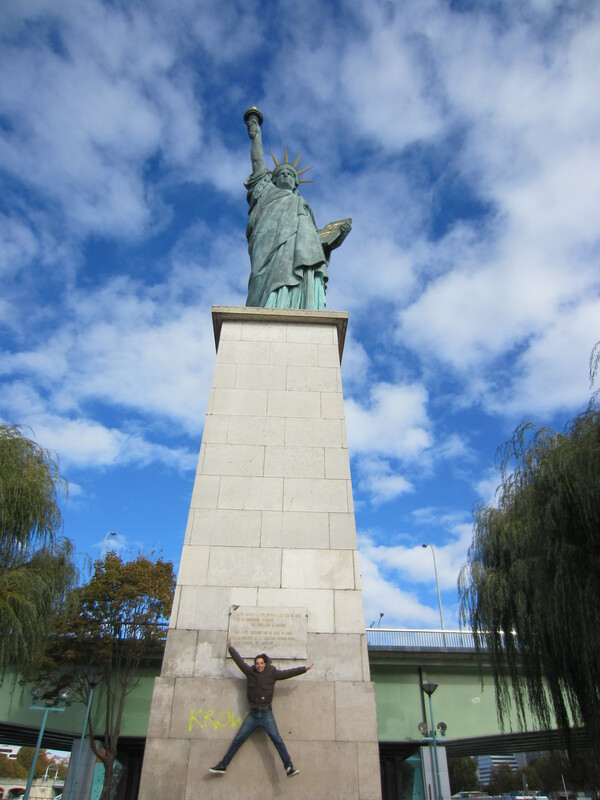 Life-sized liberty flame in Paris. 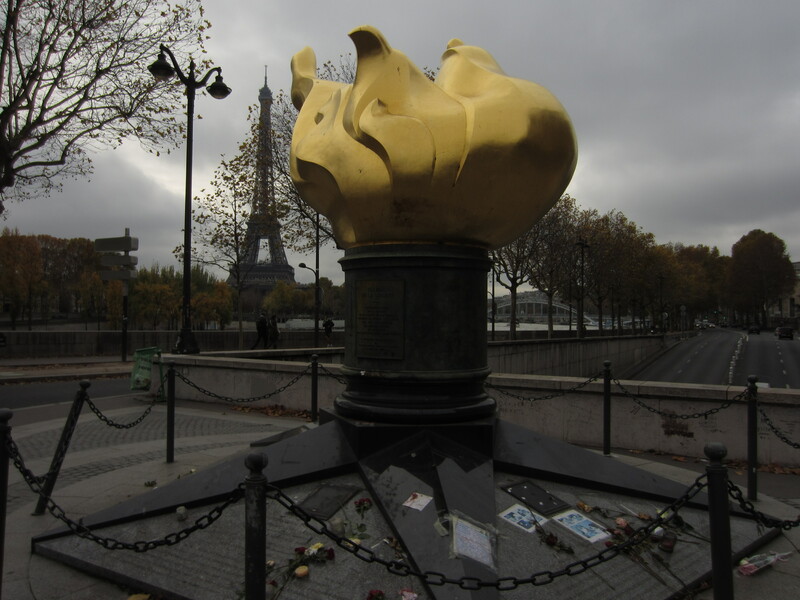 This is above the entrance to the Pont de l’Alma tunnel where Princess Diana died, and serves as an unofficial memorial. 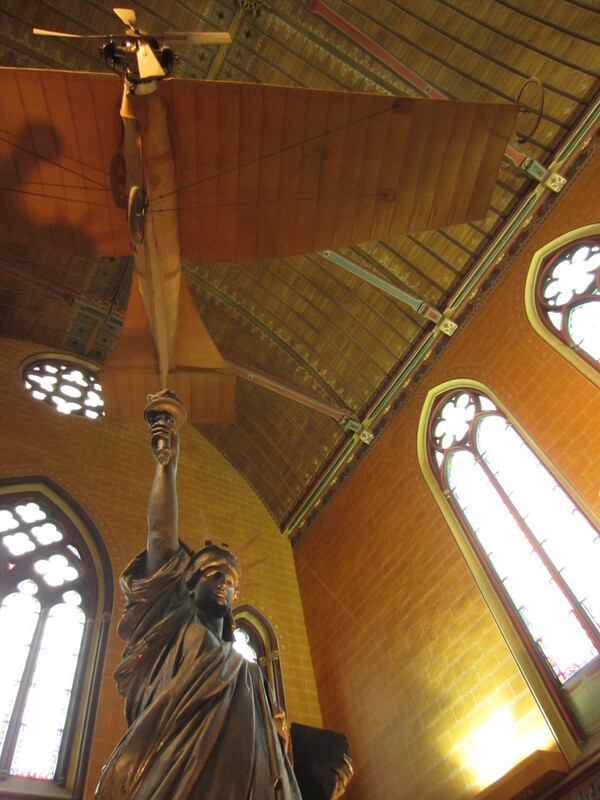 …and one inside the Musee Arts et Metiers, the original plaster! 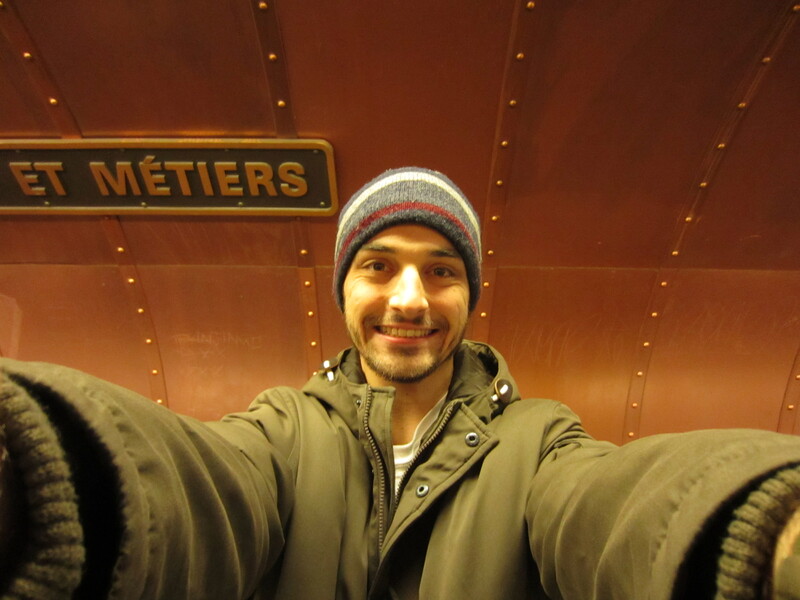 Deep underground the streets of Paris, in tunnels below the metro, is something unusual. Toward the end of the 18th century, Saints Innocents cemetary on the outskirts of the city had been grossly overfilled over the past thousand years, and was causing disease outbreaks. 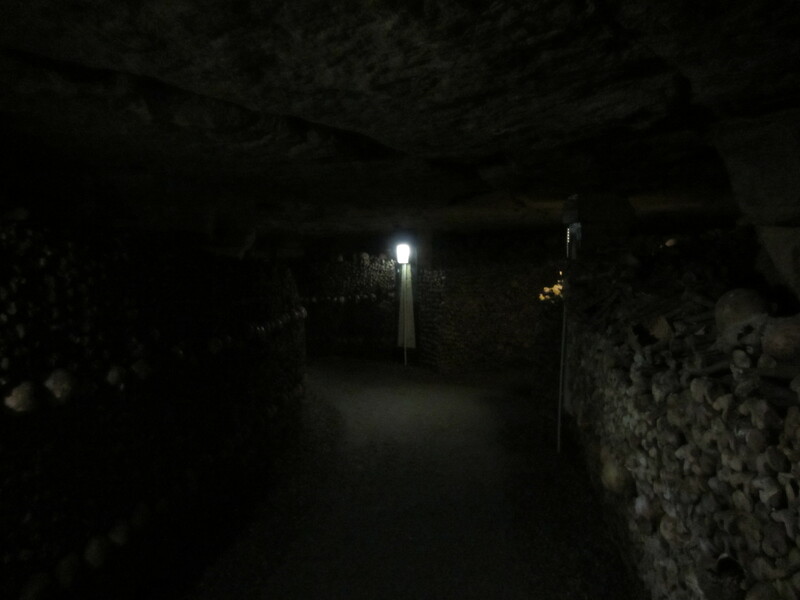 To combat the problem, the bones of the 6 million skeletons were exhumed and moved to the network of natural cave formations under the city. Now the tunnels are open to visitors, and people even hold big parties and raves here, according to legend. 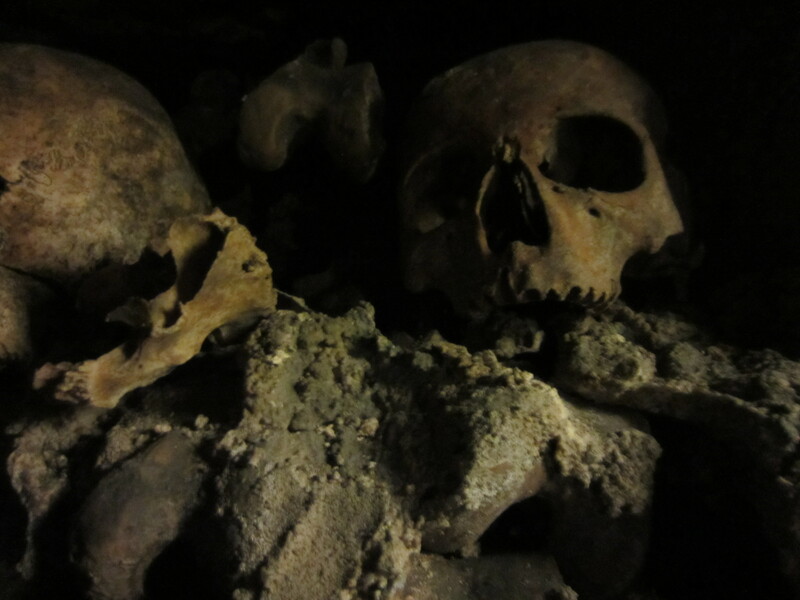 Cindy and I climbed down the dizzying spiral staircase to the cold, haunting crypt. It was her first time down here. 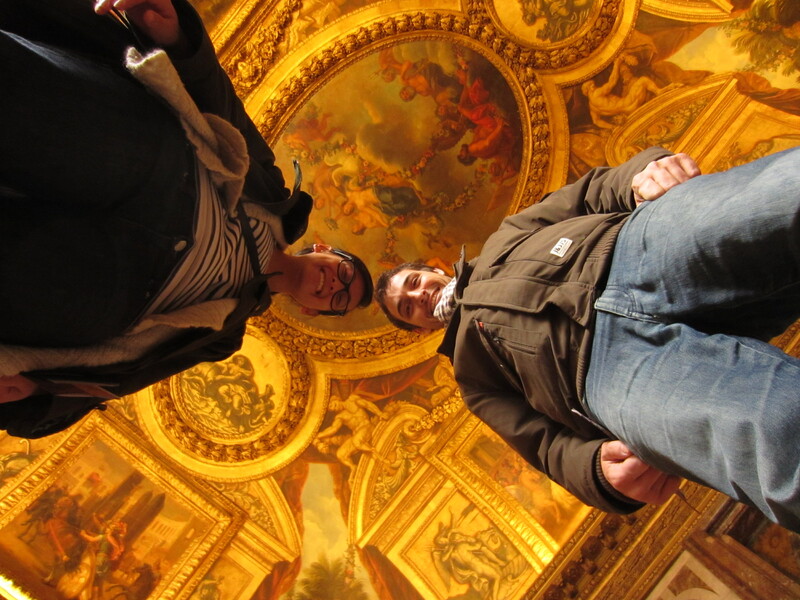 When I suggested to Cindy we should also try the Paris sewer tour (yep, a real thing!) 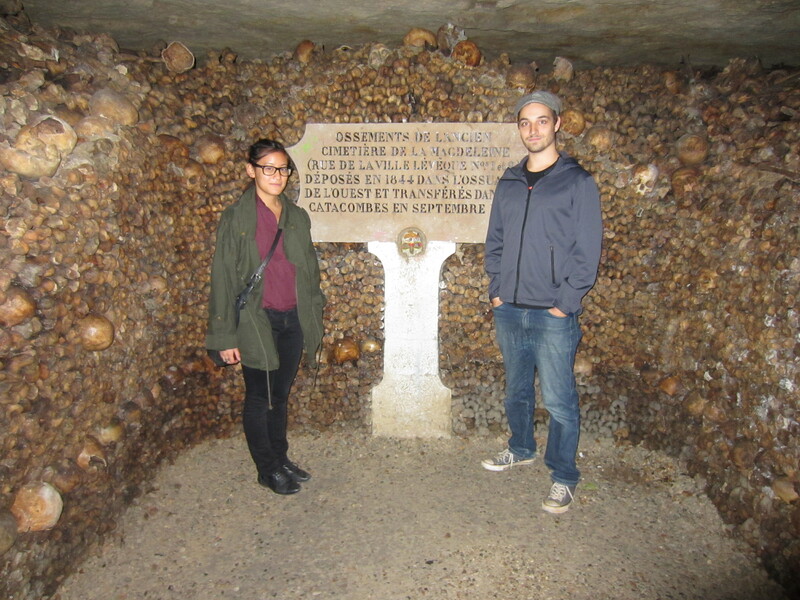 she said the catacombes should be enough!